Hello everyone, welcome to my first post! 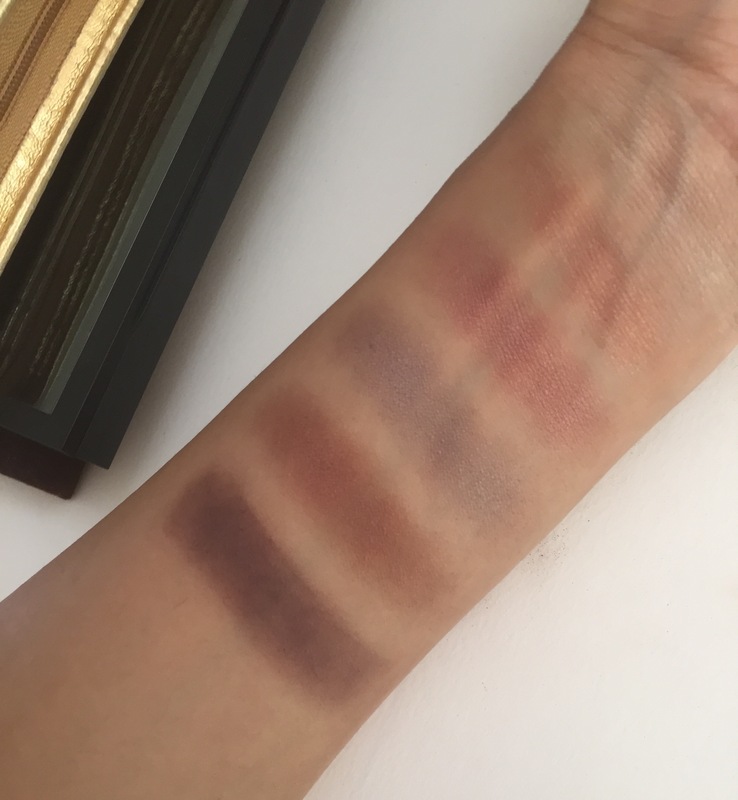 I thought it would be a good idea to go through my Mac eyeshadow palette to give you an idea of what shades I like, and what works for me. 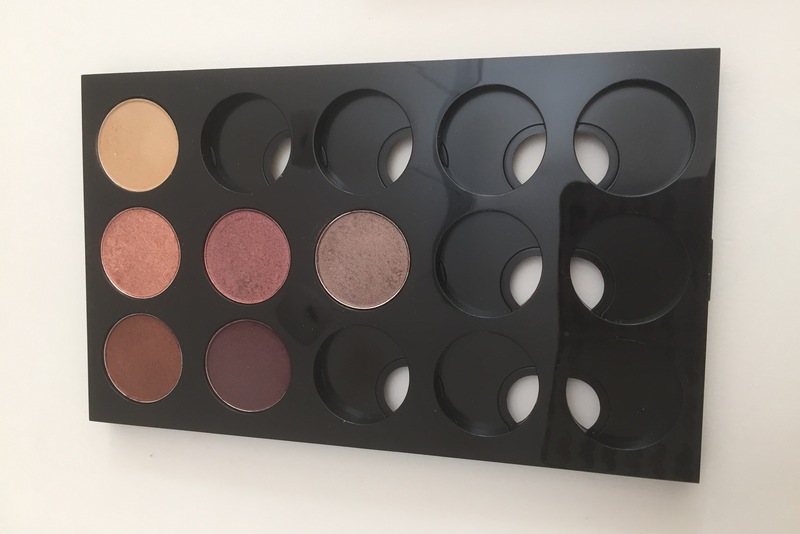 I have a Mac Pro Palette, which comes with a glass top so that you can see your shadows, and a plastic insert which can fit 15 eyeshadows. As you can see, it is quite pricey. I have been purchasing my shadows piecemeal although I have a good idea of which ones I want. The palette is a bit thicker than the Urban Decay Naked palette, and feels quite sturdy. Ricepaper (Frost) – This is a really natural looking highlight on me. It is a pale yellowy-gold. As you can see from the photos, on my skin-tone it isn’t very stark which makes it perfect for everyday wear. I think this shade would suit most skin tones. Mythology (Lustre) – A lovely coral-pink which has lots and lots of glitter. There is a fair bit of fall-out, but with a bit of work it is manageable. I actually really enjoy it – I recommend using lots of primer with this one, with a setting spray, or just using some concealer as a base and patting it on. I also like layering it on top of other colours like Antiqued for a bit of extra sparkle. An alternative for this is Expensive Pink, as they look incredibly similar on. Star Violet (Veluxe Pearl) – This shade doesn’t get enough love. On me it swatches very differently than what it looks like in the pan, as I feel that it looks markedly cooler in the pan. It’s a warm-toned burgundy, which leans towards the pink side. I picked this as an alternative to Cranberry just because I felt it would be easier for me to work with. One of the MUA’s at Mac recommended layering this over a black eyeliner to make it really pop – for something less harsh you could always use colours like Embark or Sketch. Satin Taupe (Frost) – I usually like warm shades, and when I first saw Satin Taupe I was worried as it just looked like a cool grey, but it really isn’t. It is a really gorgeous purply, taupe colour. On my skin, it really pulls to the purple side. 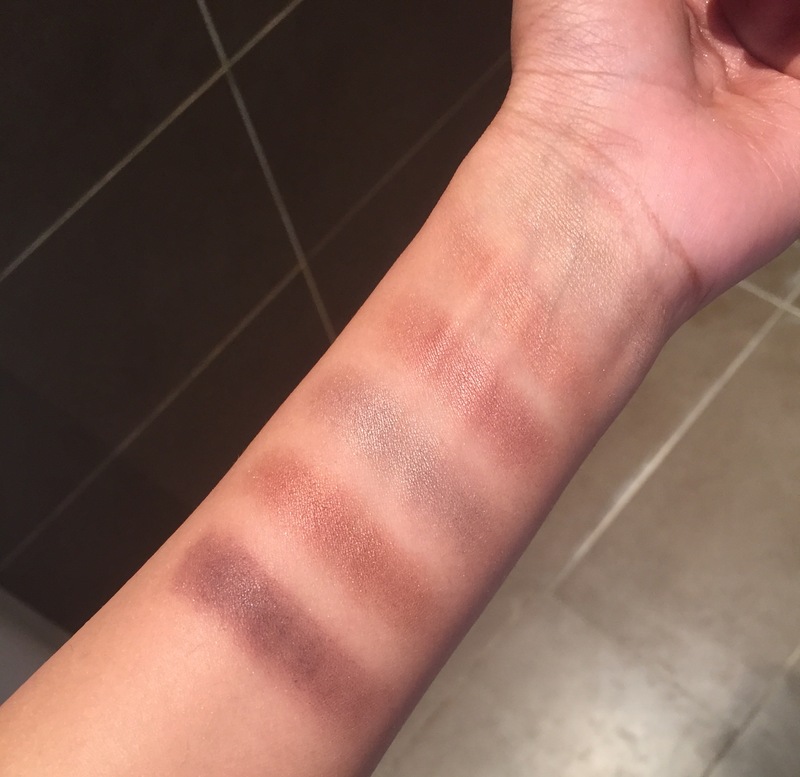 It really reminds me of Sidecar in the Naked 1 palette but without the glitter, and it’s a tad darker and more purple; I recommend packing on Sidecar if you have it on to this shade for a transition from a work look to a going out look. Antiqued (Veluxe Pearl) – This is a nice warm rusty brown with a bit of glitter in it. I love using this all over the lid or just in the crease with colours like Mythology and Half Baked. Before going for a Mac palette I would recommend doing a bit of research and also bear in mind that there are other options; Inglot, Urban Decay, and Kiko to name a few all do similar custom palettes!